Question: Would you prefer I separate my RA and nail art posts so if you are only interested in one or the other you don’t have to read both? I will provide links to and from each post. I posted this on Instagram last night as I had some weird hip pain and struggled to find a comfortable typing position. Right now, I have no range of motion. I am in excruciating pain every time I move. I’m not sure this is a flare. During my typical episode, I am painful throughout my body, I am nauseaous, tired, and fatigued. Today’s discomfort is acutely concentrated in my hip area and just when I move. I feel alert, hungry, and in any other manner, great. I am struggling to move yet I want to. I don’t know why this is happening. I woke up in the morning and I felt great I was in no pain I climbed the stairs and all of a sudden it hit me during breakfast. My morning routine was the same. 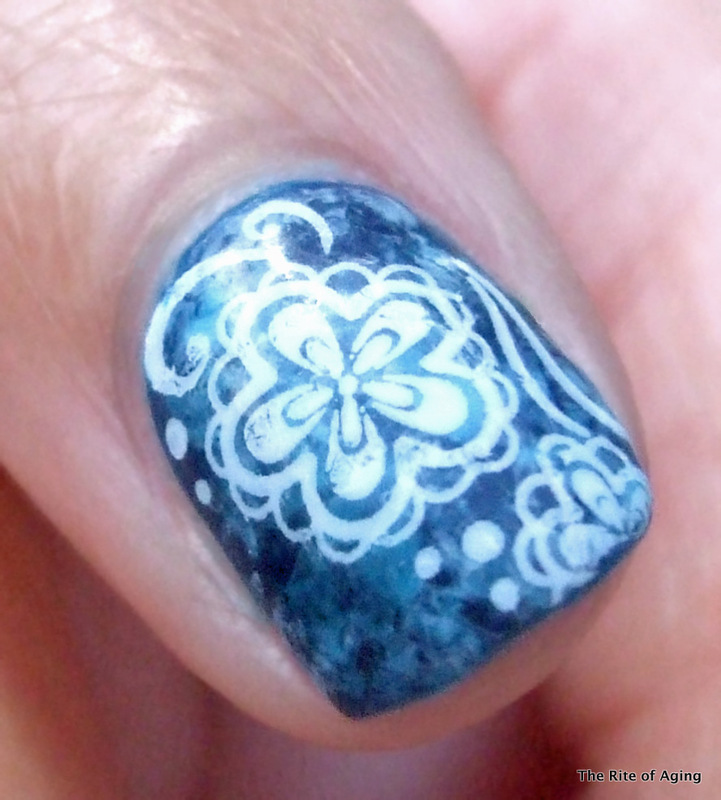 But, before I get into the nail art…I’m going to quickly talk about how I clean the house. I clean house on my days off from work. This way, I can “schedule” tasks around my high and low pain points. I mentioned in another post, my sweet spot for pain is about two hours after I take Tramadol and Tylenol. This would be when I start the heavier cleaning like vacuuming. I rarely ever start before this two hour mark. Once I’ve finished vacuuming I take a nap. I’m serious. Personally, Vacuuming takes the most effort and when I’m done I’m usually very tired. This is the perfect time for a nap. It’s okay though I have the entire day. two hours is usually the longest I allow myself to sleep, otherwise I I cannot go to bed at night. When I wake up, I eat and hydrate and finish by dusting. I use a Swiffer duster wand so with one quick swipe I’m all set. Laundry is for another day. Now, onto the nail art! I decided to go with a blue cling wrap. I loved the marbelized water look. My new Chanel polish called to me so I centered the entire color palette around it. I needed to add more but a black decal would not show up. The pack of Pueen Cosmetics decals I bought came with an assortment of white ones as well. The last time I tried one it disintegrated while I removed it from the backing. I had low expectations of these flowers but they worked quite nicely. I started with 3 coats of Glitter Gal True Blue Aussie as my base. Llarowe was having a massive sale on this brand and I picked up a few on a whim. 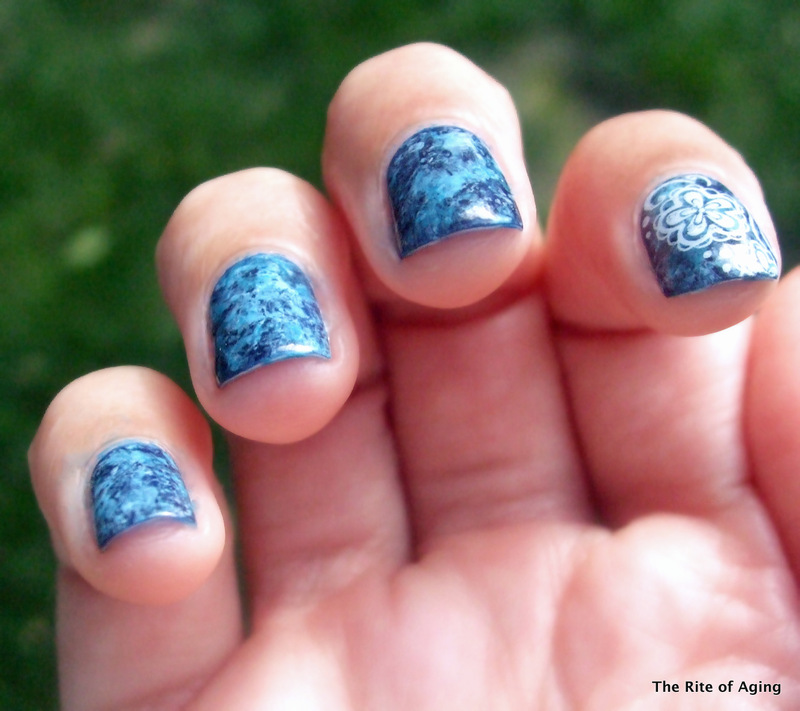 This dark blue polish was very squishy, almost jelly-like and dried very glossy. However, it pooled into my cuticles and stained them badly. 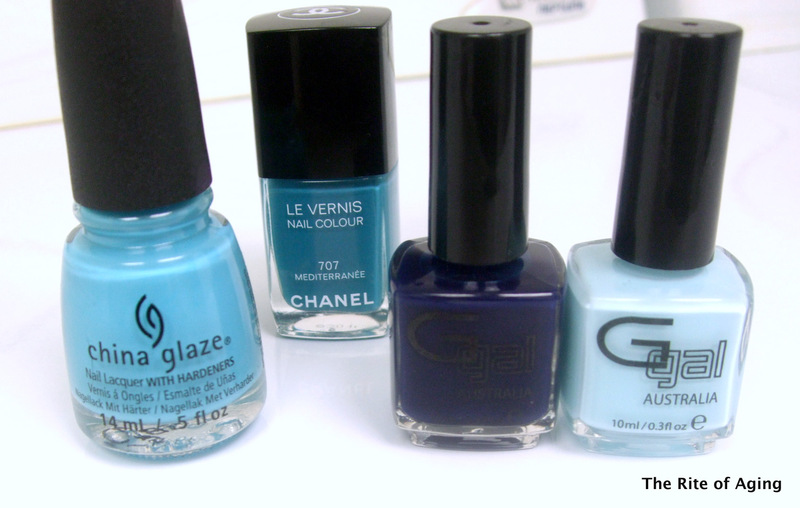 I bubble-wrapped with Chanel Mediterranée, Glitter Gal Bluemerang, and China Glaze UV Meant to Be.